Dream jobs do exist! Fabulous destinations, elite clientele and the unexpected are all a regular day in the office for this HIM grad. 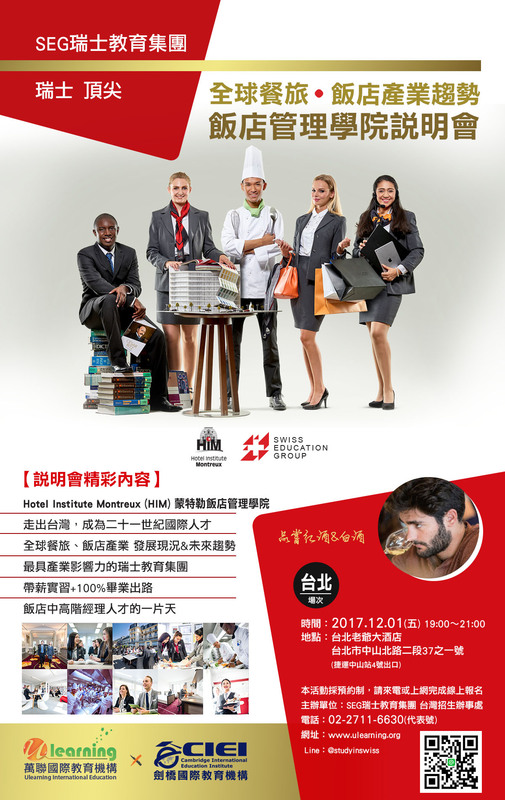 Kenneth Cai opened up an Oslo, Norway based private luxury travel company following the completion of his BBA at Hotel Institute Montreux. Every day is different, I could get a phone call right now from a client wanting to travel tomorrow. This is a very dynamic business and it is very rewarding to work as an entrepreneur on something that I love, especially seeing returning clients or having referred their counterparts. I founded the company together with a Norwegian business partner in 2013. In a past life I was a flight attendant with Singapore Airlines and had the opportunity to meet people from around the world. My business partner and I connected through this role and stayed in touch long after. We share the same passion for travel and shared in the philosophy that we wanted to do something different in the world of hospitality. It stemmed from our willingness to introduce experiences that we want our friends and family to enjoy. As a Singaporean in Norway, what has been the biggest professional culture change for you? The typical working day of your average Norwegian is 8:00 – 16:00. However as a specialised travel agency we need to be available quite literally around the clock to meet our clients’ travel needs across time zones. Other agencies in this industry don’t take the same approach and this definitely surprised me. For us, accessibility is incredibly important in order to provide top service to our clients and that we are prepared and willing to make their experience the best it can be (travel emergencies and all!). Can you give an example of a travel emergency you have supported? When it comes to travel, there will always be external circumstance beyond our control. A couple booked a destination wedding in the Seychelles but on the day of the departure there was a snowstorm and their flight was cancelled. The airline offered to book them on a flight 3 days later (which was the day of the wedding!). With a teary-eyed bride’s wedding to save, my team stayed on the phone all night calling every connection we could think of. In the end we were able to get the bride and groom on a flight the next day with an upgrade to business class! I did not sleep until I knew she was safely on her flight. What does it take to be successful in the luxury travel industry? Attention to detail is extremely important and there is a special skill involved in the ability to listen to the client and truly understand what they want. Our approach is to always meet in person with our clients whether it is over a glass of wine or a visit to their offices to learn about their personal tastes and travel expectations. Each client has their own unique travel style and our job is to organize the perfect trip to match his or her personality. Accessibility and being available to the client is especially important too. Can you give an example of a unique travel experience you recently organized? We had a corporate client traveling to St. Petersburg, Russia with a request for an elite and entertaining evening, something different! We organized exclusive after hours access to the Hermitage Museum complete with a private classical concert accompanied by champagne. It was an unforgettable experience for our clients. As a professional that returned to higher education for your BBA, what was the biggest asset of studying at HIM? To me, the greatest assets of the school were the lecturers and international population. Each lecturer brought real industry experience into the classroom, which was extremely valuable. I was able to talk to the lecturers about my business plan and they were always supportive and willing to give honest feedback. The international student population kept every day fresh. I believe that being different is an asset in business and it was always helpful to hear so many varying opinions on the same topic. What advice do you have for someone interested in opening his or her own business? You will definitely need to be very comfortable with uncertainty. And at the beginning you need to be prepared and willing to fill the shoes of every single role. This goes from managing client expectations down to sweeping the floor at the end of the evening. There is hard work that goes with the glamour – but it’s worth it in the end!